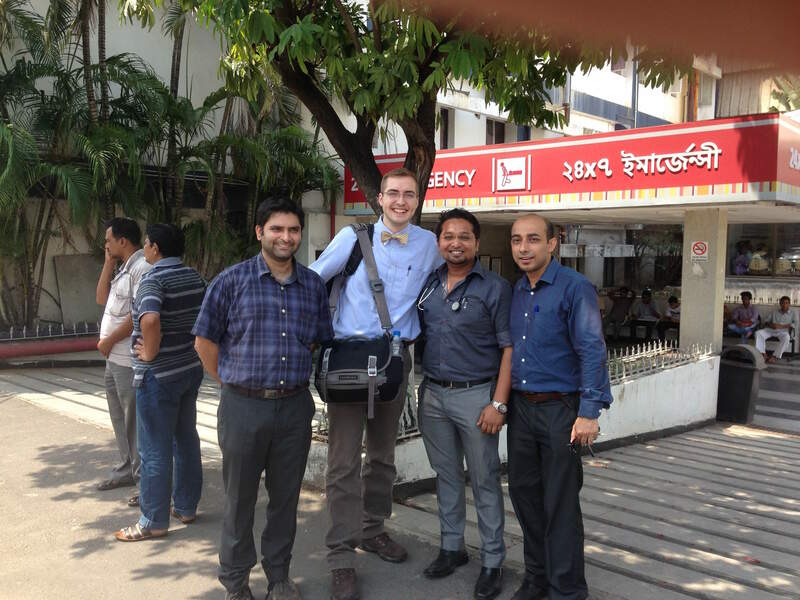 During my Global Health Elective month, I spent two weeks in India, and two weeks at the CDC in Minnesota. It was a great time to reflect on sustainability in developing world medicine, as well as medical education and career goals. Emergency Medicine in India is still in its infancy. Some might say it's only just been conceived, still waiting to be born. 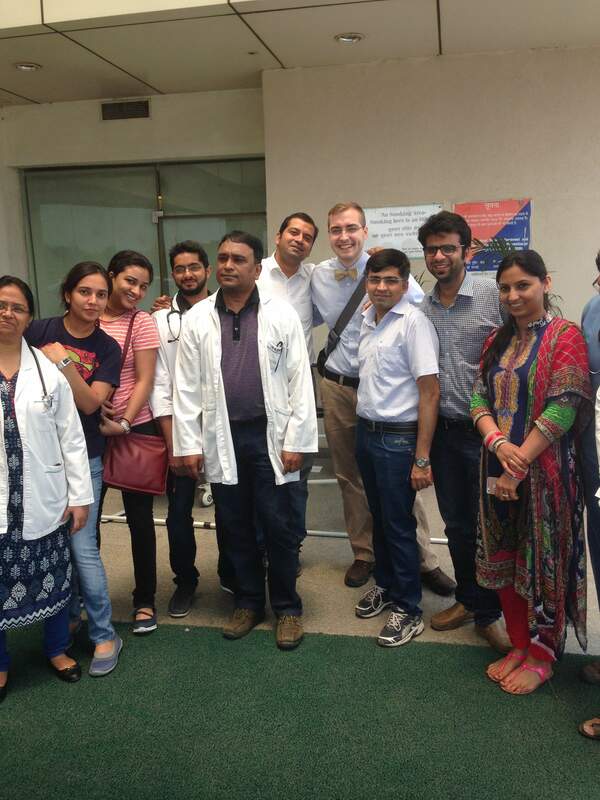 India is growing incredibly in numerous sectors, and several universities, including GWU, have partnered with established hospitals to grow the specialty of emergency medicine. After completing the MBBS training, the British and Indian equivalent of medical school, physicians have the opportunity to specialize as we do in the States, or to take postings with the military, hospitals, or in other areas. George Washington among others, has help set up a program for Emergency Training which is a three year Masters in Emergency Medicine. Candidates are selected from a diverse background. 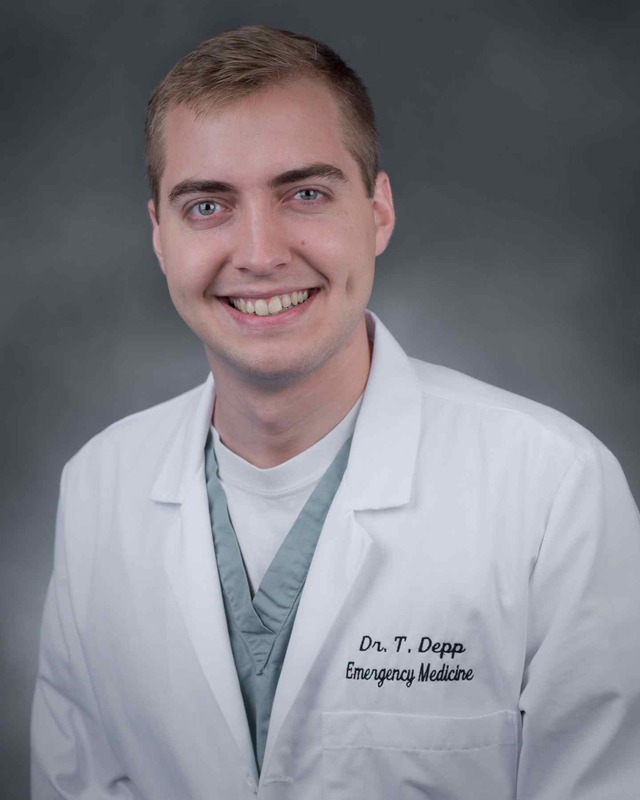 Faculty and senior residents are recruited from US Emergency Medicine programs to visit and teach. Many of the physicians have had broad-ranging experiences from rural military posts in Kashmir, to completion of cardiology fellowship. 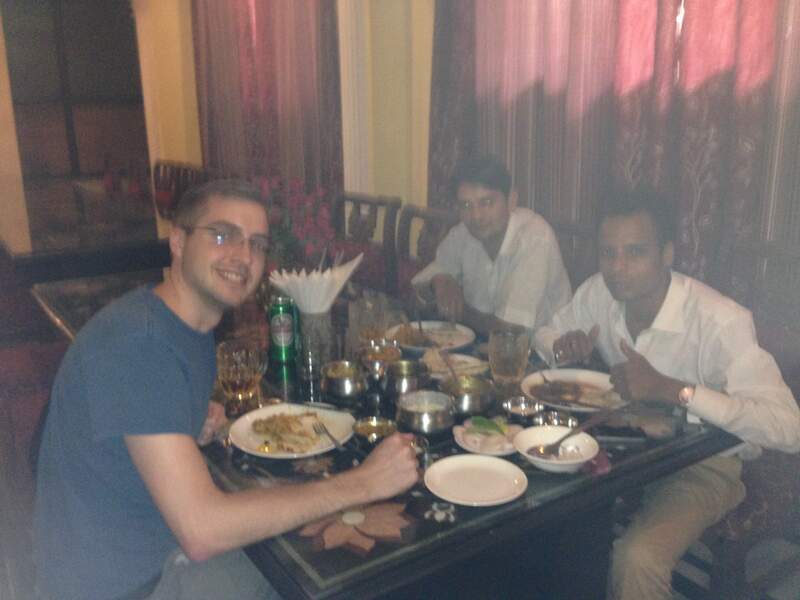 It is an extremely dynamic group, and the future of Emergency Medicine in India is very, very bright. The model is effective, as most of the residents are driven to achieve, and their seems to be a clear exit strategy for GWU as the programs grow and develop their own faculty members. One of the key challenges for trainees at different centers was variability in patient volumes. I was in India for 2wks and during that time visited and taught at four different hospitals, three in New Delhi, and one in Kolkata. It was a great experience. At some of the centers, residents saw lots of patients, at others only 4-5 per shift it seemed. Even at the sites with less throughput, however, it was exciting to see the group discussions of interesting patients, and true intellectual curiosity. Another interesting challenge in resident education was the number of subspecialty hospitals. Because of the size of the population in these extraordinarily large cities, there has been an emergence of eye hospitals, kidney hospitals, heart hospitals, etc., so that some broad sectors of pathologies are rarely encountered in at different training sites. Additionally, many of the hospitals were not trauma centers. We were in the Head, Neck, and Ophthalmology module of their curriculum, and many of the residents had very little experience with eye pathology because the vast majority of these patients go straight to eye hospitals. At centers more on the outskirts, or serving poorer populations, these rules fell apart as they do in the US. People who don't have options just go to the closest hospital or Emergency Room. It was a lot of fun working with the residents. In many ways it is no different than the ER in South Carolina: People sometimes get stuck in the ER for days with a full hospital; lots of people come to the ER because they can't get an appointment with their PCP; nursing ratios are out of control; and lots of people also wait way too long to come to the ER, about to die by the time they finally walk through the door. So it was fun swapping stories and having a laugh together about the same aspects of human nature half way around the world. Bedside teaching was also a lot of fun. I learned as much as I taught. Things like Kala Azar, or spinal TB are common place, but we would need to pull a reference text back home to know how to begin treating. That said, most of the ERs don't have slit lamps, so we spent time at different facilities with bedside exam techniques and ultrasound for evaluating intra-ocular pathology. It was a great two weeks, I would definitely consider going back. The didactic sessions were great. Had overall very good teaching from the resident lectures for the module, and I put together a three hour Visual Diagnosis review of HEENT/Optho for teaching which the trainees loved. After wrapping up my teaching in Kolkata, I flew up to Minneapolis for a welcome break from the +100degree temperatures. The Certificate in Tropical Medicine Course through the University of Minnesota and the CDC is a great introduction to developing world medicine. I was introduced to it by Dr. Nate Ramsey, and have really enjoyed it. It consists of 7 online modules covering topics from refugee health and migrant populations, human trafficking, virology, microscopy, parasitology, disaster response and ebola. The 7 online modules comprise about 300hrs of lectures, and the portion in Minneapolis is a 2wk in-person segment focused on more in depth parasitology and simulation medicine. It was a phenomenal opportunity to take the course. And having completed this course, I will be eligible to sit for the American Society of Tropical Medicine and Hygiene exam this fall. The best part of the course was networking and hanging out with the other participants. It was a great group, split about 50:50 with trainees and fellows, and clinicians getting further training for international aid and clinical work. Participants included faculty from universities around the country, NGO executives, physicians working with MSF and the CDC, first responders to the Ebola Outbreak, physicians leaders from Nigeria and Tanzania, and folks earlier in the stages of formation like myself. It was a great opportunity to learn from each other, and discuss ongoing challenges in global health work like the ethics of short term work, scope of practice, and crisis relief. Sharing stories and a drink was a great wrap-up to many days throughout the course. As I continue to focus my career on international emergency medicine, it was a great capstone to come in the last months of residency, wrapping up this course with like-minded folks from around the country. As we try to become more responsible and offer value to the places and people we visit, it is a course which I would recommend to anyone. My only wish was that I started the course earlier instead of cramming it into the final 10months of training.